It's about to get all kinds of ugly up in hrrrrrrrr. For a little holiday hoopla, I am hosting a VIRTUAL Ugly Sweater Party. On MONDAY (the 23rd. As in, a day and a half from NOW) starting at 9am, I am asking you share your best Ugly Holiday Sweater Pictures. I'm like a NINJA in an Ugly Christmas Sweater, yo. 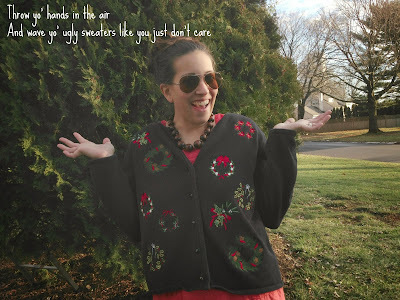 Whether you own one, create one by hanging ornaments off hooks from your have Gap sweater or steal it off Grandma, I WANT TO SEE YOUR BEST UGLY SWEATER PICS. Head to the CSHM Facebook Page and post it on the wall (or in a message). Tweet it. Instagram it. 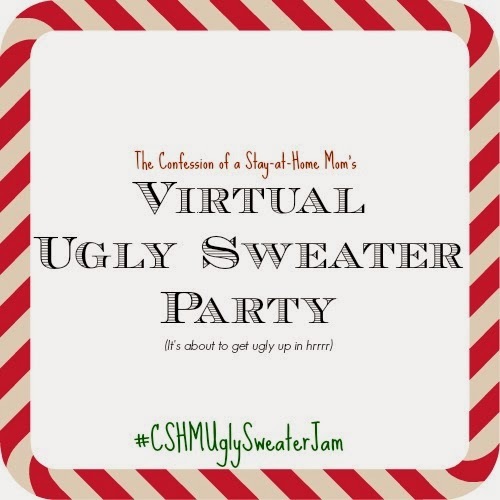 Make sure to tag @DonnaReedSteph and in all shares use hashtag #CSHMUglySweaterJam. Don't have an Ugly Holiday Sweater? Upload a picture of yourself to the Goodwill Sweater Yourself Facebook App to create a picture that you can share! 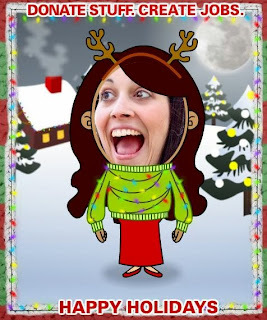 SweaterYourself App ROCKS MY SOCKS. I want to see who can come up with the ugliest, zaniest most hilarious picture! The fun starts MONDAY at 9am!